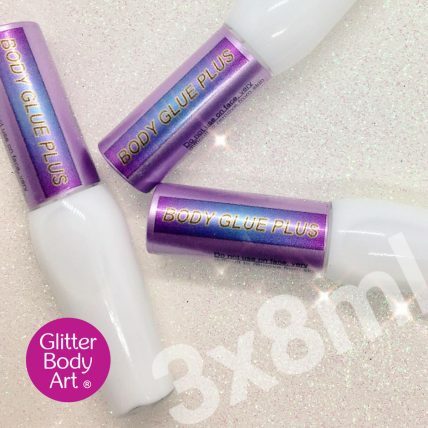 This is a long lasting body Adhesive (lasts up to 7 days) suitable for applying glitter tattoos and body gems. 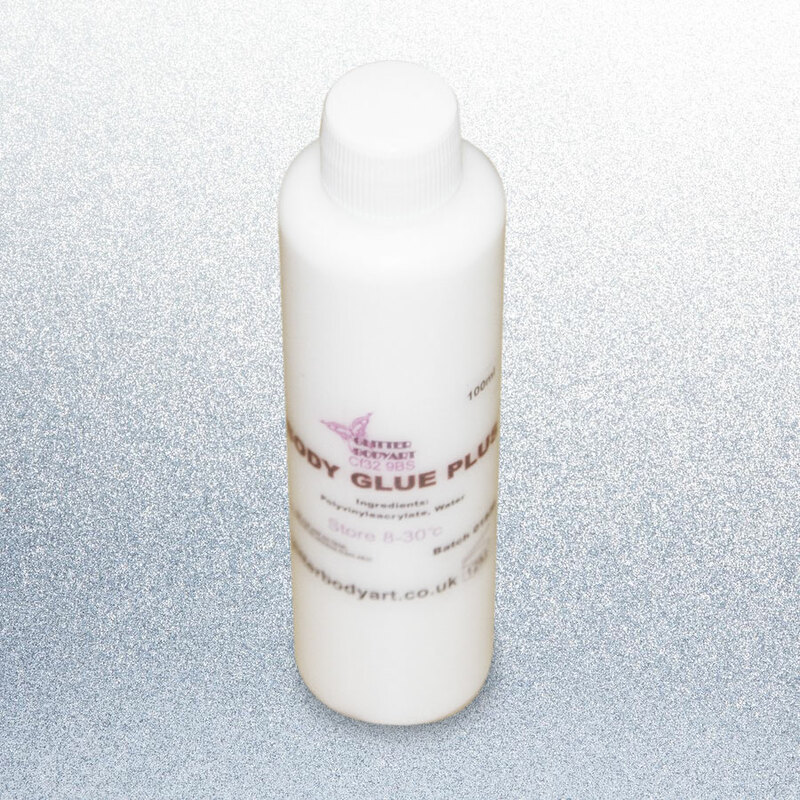 Our cosmetic body glue is great for use with our range of glitter or other cosmetic purposes. 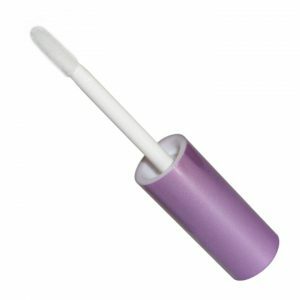 You will receive 3 x 8ml bottles of Body Glue Plus with a sponge applicator for quick and easy application. 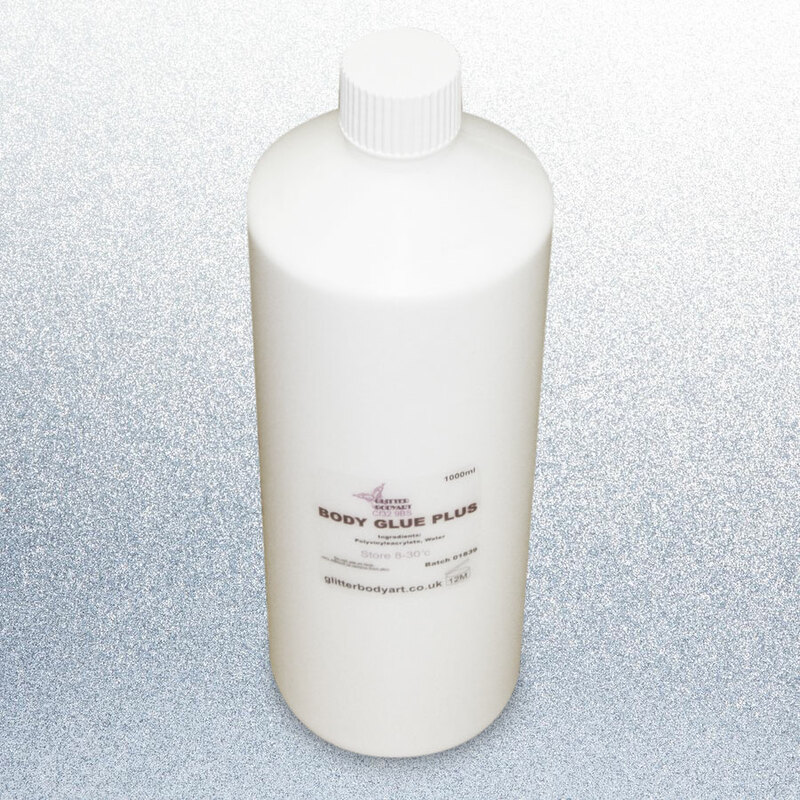 Each bottles does about 140 tattoos.